Taking one pill instead of three could be a powerful ally to prevent cardiovascular disease, according to a new Cochrane systematic review of the latest research on polypills from a team of scientists at the London School of Hygiene & Tropical Medicine, Warwick Medical School and Northwestern Medicine. 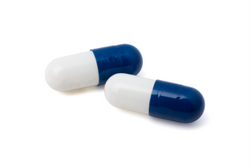 A polypill typically combines an aspirin, statin and at least one blood pressure medication into a single pill. The idea of putting multiple drugs into a single pill is not new; it is done in HIV combination therapy, for example. However, polypills have the potential for widespread use and could potentially help prevent heart attacks and stroke while helping people live longer. Such drug combinations are not yet on the market in the U.S. or the U.K., but can be bought online. The review included analysis of 7,047 patients in nine randomized controlled trials from around the world from 2009 to 2013 and is the largest and most comprehensive review of polypill literature to date. The findings were published in the Cochrane Database of Systematic Reviews. Scientists found that the combination therapy – taking one pill instead of three separate pills – made it easier for people to adhere to a treatment plan. In one large study, polypills were shown to improve adherence by 33 percent compared with those who underwent usual care for cardiovascular disease prevention, the scientists said. In several of the latest studies, the scientists found that a polypill lowered systolic blood pressure and total cholesterol, but the overall effects of a polypill may be similar to usual care. Adverse events were more common in people treated with a polypill, but there was no strong evidence of a difference in serious adverse events between those taking a polypill and those on placebo or control. Huffman is an assistant professor in Preventive Medicine and Medicine-Cardiology at Northwestern University Feinberg School of Medicine and a cardiologist at Northwestern Memorial Hospital. He is also the coordinating editor of the Cochrane Heart Group Satellite United States, which is based at Feinberg. Huffman said the polypill has the potential to be added to the World Health Organization’s “Model List of Essential Medicines” in the future, maybe as soon as next year. “The WHO has already named the polypill one of the ‘top five best buys’ for preventing chronic diseases globally, and while more research is needed, the polypill has the potential to avoid millions of premature deaths and related morbidity from cardiovascular disease at low cost,” he said. Funding for this paper comes from Feinberg, Warwick Medical School, University of Warwick, UK, Department of Non-Communicable Disease Epidemiology, London School of Hygiene and Tropical Medicine, UK, NIHR Cochrane Programme Grant, UK, the National Institute for Health Research Collaboration for Leadership in Applied, Health Research, Care West Midlands at University Hospitals Birmingham and NHS Foundation Trust, UK. The paper is titled “Fixed-Dose Combination Therapy for the Prevention of Cardiovascular Disease.” Authors include: de Cates AN, Farr MRB, Wright N, Jarvis MC, Rees K, Ebrahim S, Huffman MD. Cochrane Database of Systematic Reviews 2014, Issue 4. Art. No. : CD009868. DOI: 10.1002/14651858.CD009868.pub2.